The word Olympic failed to appear on a single event program, and the Games took place from May to October alongside non-Olympic sporting events. The French government tried to combine the Olympics with the World's Fair. The idea didn't work. After the success of the Olympic revival of 1896, Athens wanted to host the second modern Olympiad in 1900. Olympic godfather Pierre de Coubertin may well have wished the Greeks had gotten their wish, once he took stock of the fiasco his own country, France, made of the Games. Greece felt that as the historic home of the Olympics, it held a permanent right to host the Games. The International Olympic Committee opted for a rotation of hosts. The Greek-Turkish War, which was flaring at the time, made the IOC even less inclined to stage the Games in Athens again. 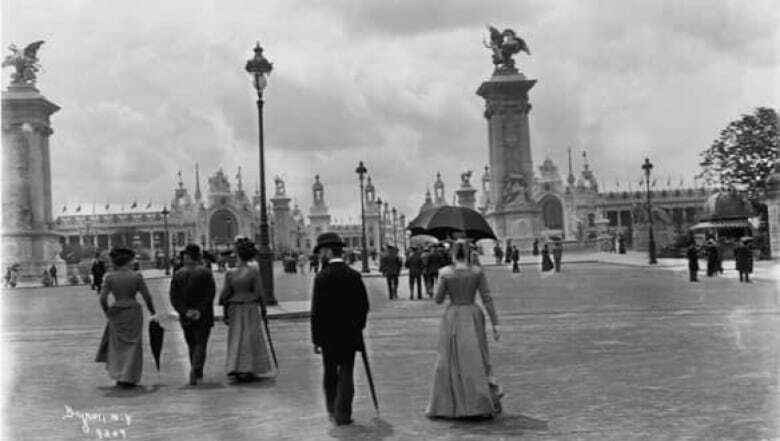 Besides, Paris was already hosting the World's Fair in 1900, and it seemed an obvious and appealing tie-in to the IOC to stage the Olympics in the City of Light. But the move backfired: It was enough to make de Coubertin later remark, "It's a miracle the Olympic movement survived these Games." The 1900 Paris Olympics were a disaster of planning and execution. The French government seized event organization from the IOC and seemingly conceived of the Olympics as a sideshow to the World's Fair. In fact, there was little indication that the Olympics were happening at all: The word "Olympic" failed to appear on a single event program, and the Games took place from May to October alongside non-Olympic sporting events. Spectators had little idea they were watching Olympics events, and while there were a lot more athletes than at the 1896 Games, a lot of them weren't really sure whether they were competing in official Olympic events. It would be years before there was any kind of accurate medal tally, and some athletes died without knowing they were Olympic gold medallists. hurdles were fashioned out of broken telephone poles. The host French did dominate the medal standings, with 26 gold medals all told, but no athlete accomplished more than American Alvin Kraenzlein, whose four gold medals in individual athletics events still holds up as an Olympic record. Kraenzlein managed one jump in the final that surpassed Prinstein's best effort by one centimetre to secure the gold. Christian or no Christian, Prinstein was reportedly so upset that he punched the champion in the face. Canadian George Orton wins gold for U.S.
Canada did not yet have an Olympic team in 1900, but Canadians competed with the American team, which was made up of athletes from colleges and athletic clubs. One such athlete was George Orton, of Strathroy, Ont., who finished third in the 400m hurdles before winning the gold in the 3,000m steeplechase. But because he was entered as an American athlete, it was not until years later that anyone realized that a Canadian had actually won an Olympic gold in Paris. Orton's compatriot Ronald MacDonald was the last of just seven runners to finish the Olympic Marathon. He later complained that he and an American runner were the only athletes who ran the entire course, and that the three top finishers -- all French -- had taken a few shortcuts through the streets of Paris along the way, which would explain how they looked relatively well-rested at the finish. Michel Theato was finally acclaimed as the official Olympic marathon champion 12 years later. If you think that a lot of athletes play fast and loose with the notion of citizenship these days, immigrating to countries that can offer them better financial and training support, consider the case of Stan Rowley. The Australian track star remains the only athlete to win a medal for two different countries at the same Games. Rowley won bronze medals in the 60 metres, 100m and 200m, before some British friends coaxed him to join their side for the 5,000m cross-country team event. Rowley was then persuaded by English friends to join their 5000m team for a cross-country event. The only other entry was France, but the Brits were a man short and wanted to avoid handing the French the gold in a default. Rowley had never run a distance race before, but no matter. Because of the curious point-scoring system of the race, all he had to do was walk to the finish and record a time for the British to win. In the end, he didn't even have to finish. Race officials tired of waiting for him to finish, so they simply awarded him last place to close out the event. Female athletes made their Olympic debut in 1900, although there were only about 20 of them competing. Even with those modest numbers, though, organizers couldn't keep them straight. There's still debate whether British tennis player Charlotte Cooper or American golfer Margaret Abbott deserves the title of first female Olympic champion. Cricket, croquet, golf and tug of war all made their Olympic debuts in Paris, and were soon to exit the Olympic stage, along with one of the most curious of all Olympic events: the obstacle swimming race. Swimmers had to negotiate a course with three sets of obstacles -- boats they had to swim under.